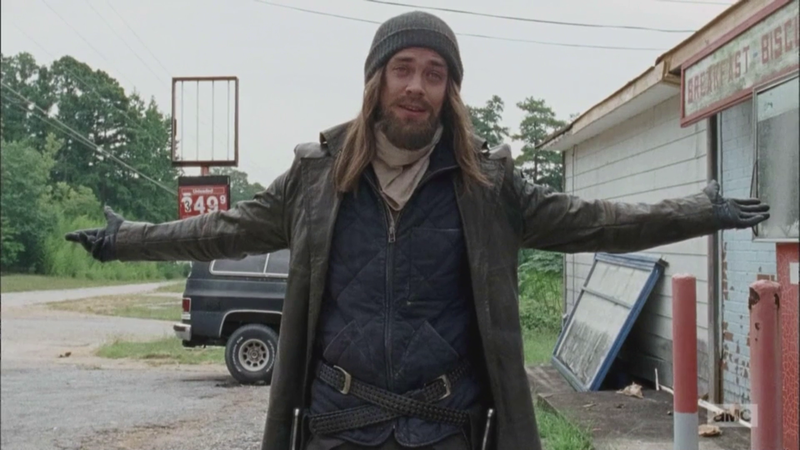 Duriing interviews with the producers and the cast in the months leading up to The Walking Dead’s return, this episode was frequently cited as a favorite upcoming adventure, and it’s easy to see why. “The Next World” did not rely on gimmicks, shock deaths or ratings stunts to tell a good story. It just told a good story. One big reason why the story was good? It was character-driven, and strongly so. 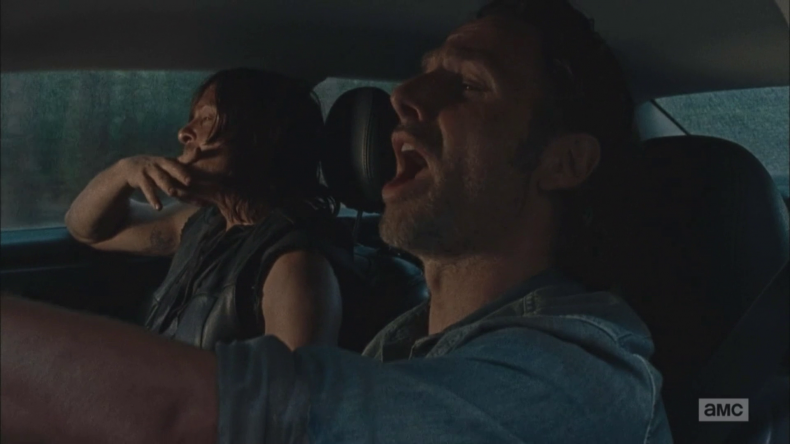 It put Rick and Daryl together and let the dialogue write itself. God forbid those rumors about Daryl dying become true and this winds up being the only Rick-Daryl teamup episode we ever get. They say there seem to be troubles fitting the original character of Daryl into the Kirkman-created universe, but if you ask me, they solved that problem here. If there’s any reason to spare Dixon’s life, this is it. Ordinarily I dread the episode after a gigantic climax because it is usually quiet and dull — the tension is spent, after all, and it takes time to wind back up again. This episode found the solution: while we’re waiting for a new plot thread to start building up, we can use that time to experiment and tell some unconventional stories we wouldn’t be able to when the characters are dodging zombies left and right. It’s a great concept — if they realize it. Can we have it done this way every time now, please? It began with Rick and Daryl driving out of Alexandria on a shoping/looting errand to find some items the citizens were demanding. Fake Doctor wanted a drinkable substance she called “pop” to the bewilderment of every Georgia native in the area. 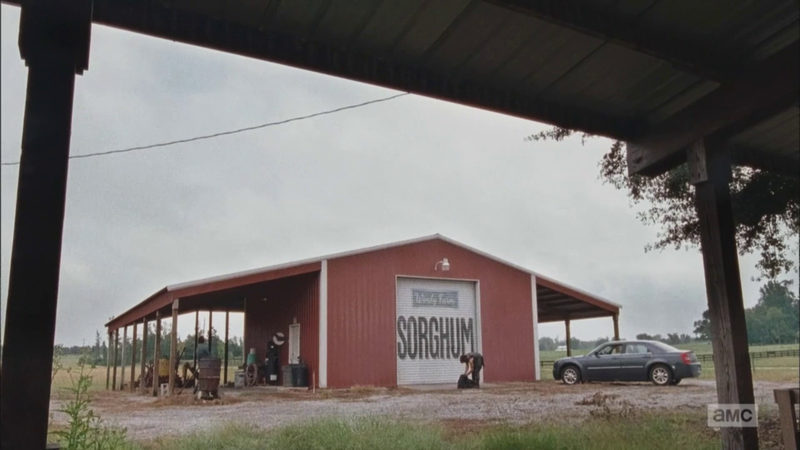 On Eugene’s list was “sorghum,” because of course it was. The pair are trying to figure out what to make of him when they suddenly hear the sound of gunshots from behind a gas station. Rushing toward the noise, they find a set of firecrackers going off inside a steel drum….and the next thing they hear is the sound of their own truck starting without them. Daryl suddenly realizes his keys have been picked out of his pocket. “SORRY!” Jesus yells as he drives off. It doesn’t seem like even they could catch up to a truck on foot, but luck is on their side when Jesus gets a flat tire and has to stop to change it. 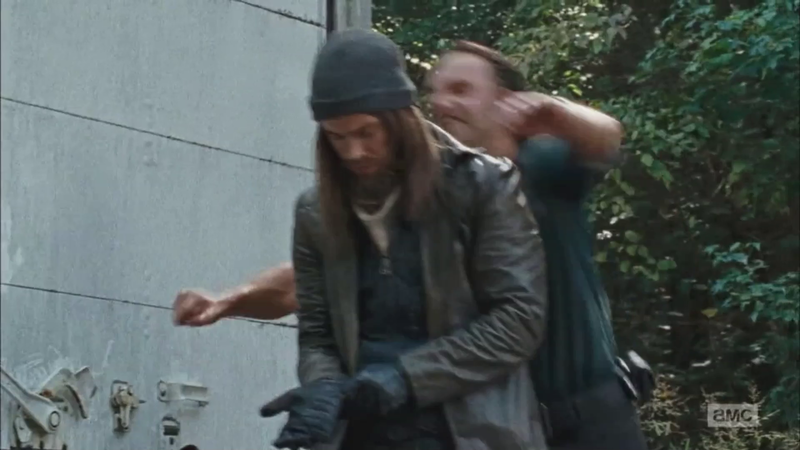 Daryl jumps him from behind, but Jesus displays some surprisingly lethal karate moves and breaks free. He submits, however, when the pair point their guns at him. “Come on, do I really look like a bad guy?” he pleads. Daryl ties Jesus up with rope, retrieves the truck keys and speeds off, giving the man the finger as they depart. One commercial break later, the boys are passing through some farmland when they hear an odd noise, and they turn down the radio. What could it be…? Jesus not only broke free from those ropes in record time, he managed to hitch a ride ON THE ROOF and remained there the entire trip. Rick stops the truck hard, which sends Jesus sliding off. They then chase after him, but some Walkers enter the picture and Jesus attempts to use the distraction to steal their truck again. This time Daryl catches up and pulls him out (and knocks him out), but this just sends the already-moving truck, now without a driver, into a large lake. All that sorghum lost. 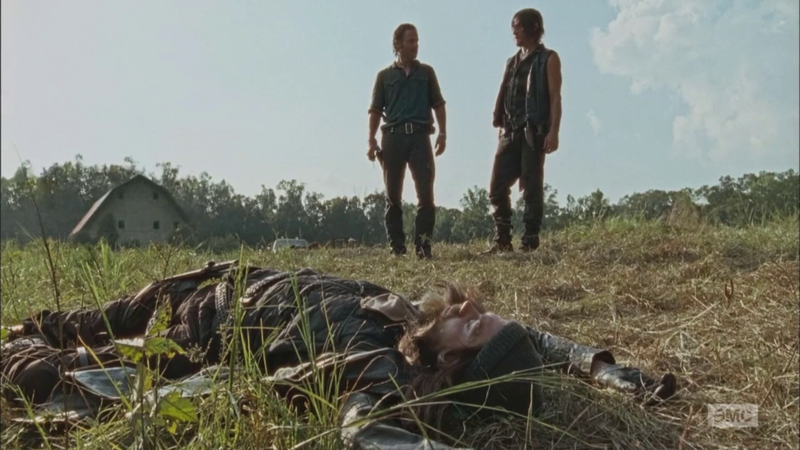 You would think this would settle the debate of whether to let Jesus into Alexandria or not, but since he saved Daryl’s life briefly during the fight, Rick argues that perhaps he deserves one more chance. So they tie him up while unconcious, this time tighter, and leave him bound inside a house with a polite note. He escapes yet again at the end, of course — and this is going to turn into a theme with him. Carl (complete with new eyepatch) and Enid were in the episode, but didn’t do much of anything. 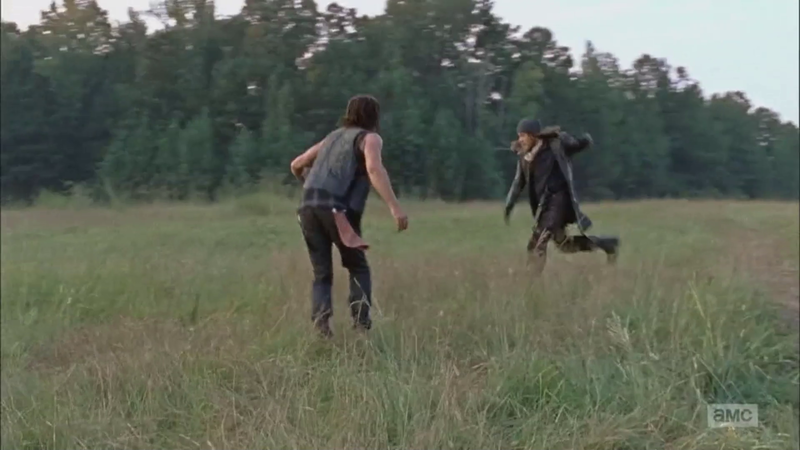 Their purpose was to introduce a mystery that would be revealed later: Carl runs across a Walker but doesn’t kill it. Enid doesn’t understand why. That’s the extent of their involvement. The subplot really belongs to Spencer, who runs across the zombie later….and it’s Deanna. Spencer already knew this had happened and had been searching for his mother for some time. It’s not that Carl wasn’t up for head-shivving Deanna, it’s that he thought Spencer should be the one, especially since he went through all that effort. I’m pleased, honestly. I believe in many cases, fans are more sensitive to character chemistry than writers are, and ignoring them can mean skipping the obvious and making a mistake. 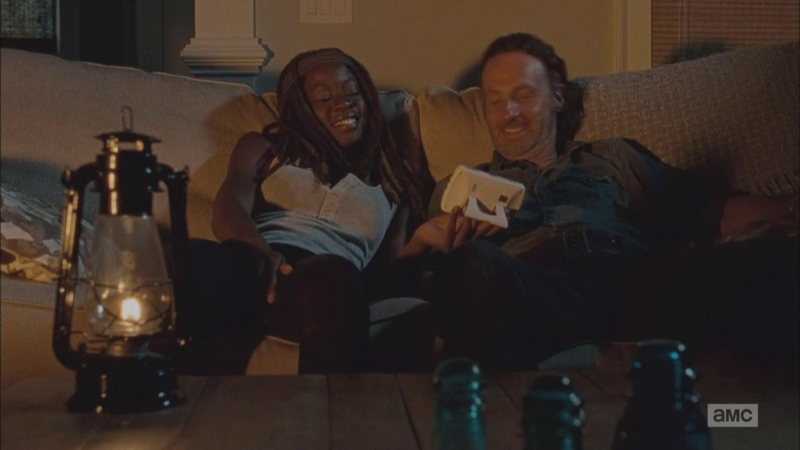 There’s been a demand for Richonne for quite some time now, and I would much rather watch them in a relationship than the bland women Rick has been given so far. My biggest concern is….what now? Bringing two characters together who seem to have chemistry is one thing; knowing how to keep that chemistry alive is another — and much harder — problem. I don’t feel we saw enough buildup between Rick and Michonne for the end scene we got to make sense yet, even if it is two months later (it isn’t for the viewers). I’ve seen several shows where couples just suddenly went from friends to bedmates in minutes, and I’ve rarely ever seen it end well. When it just suddenly explodes like this out of nowhere, the results can be anticlimactic later. Glenn and Maggie are interesting because they have gone through a lot to stay together and they’re easy to root for as a couple. 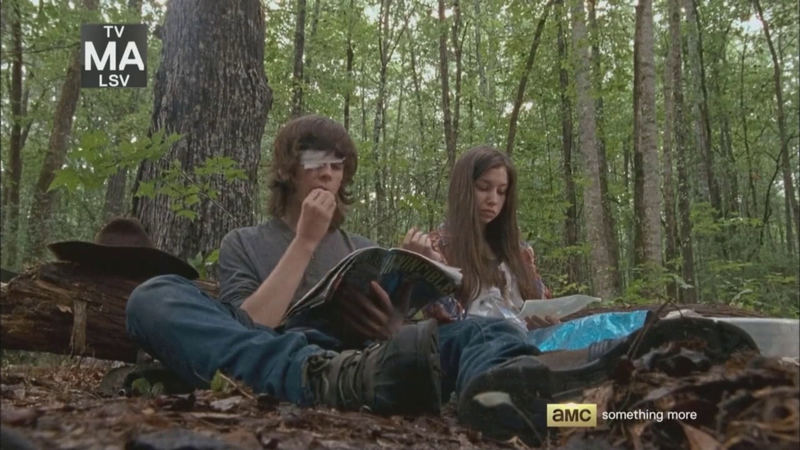 Taking a similar approach with Rick and Michonne would save them from boredom. 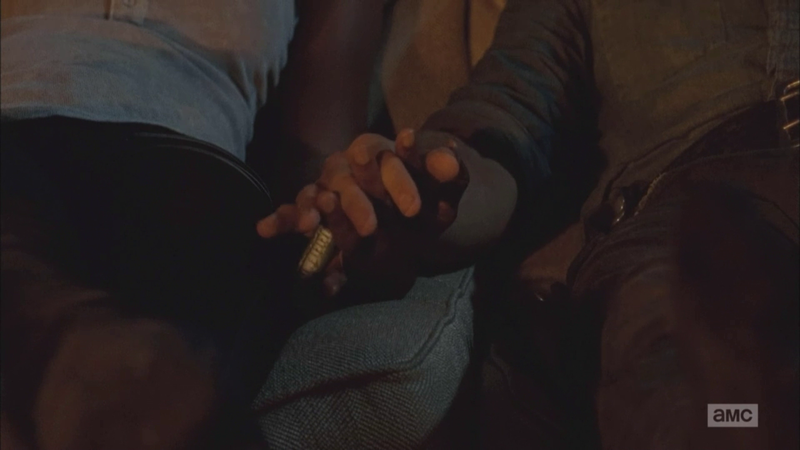 This premise lends itself to Battle Couples easily, and Richonne is certainly capable. Great episode anyway. I hope the momentum can keep itself going.